I dare say I haven’t meet one person who don’t like this candy. Even all of my US friends fell in love with it as soon as they tasted it. (You can find it in stores like Ikea and other places selling Swedish/Scandinavian stuff). 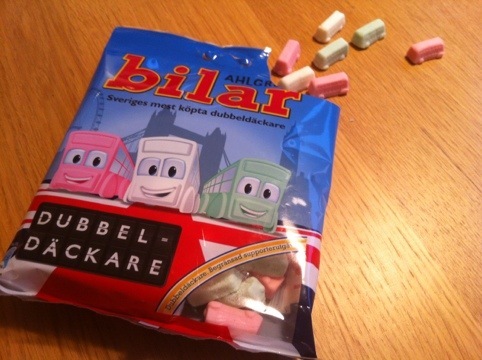 It’s a small marshmallow candy which comes in three colors: pink, green and white.